« America: Land of the Punks? This is called a QR Code, a matrix bar code, that users can create, share, scan to link to just about anything. 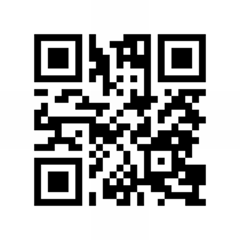 To create your own QR code for say your business website or even business card just check out qrcode.kaywa.com. This entry was posted on Tuesday, November 16th, 2010 at 1:30 am and is filed under Technology. You can follow any responses to this entry through the RSS 2.0 feed. You can leave a response, or trackback from your own site.